The StockNote App provides the holding in the app itself along with the average buying price!! Now there is no need to login to your back office for checking the buying rates. 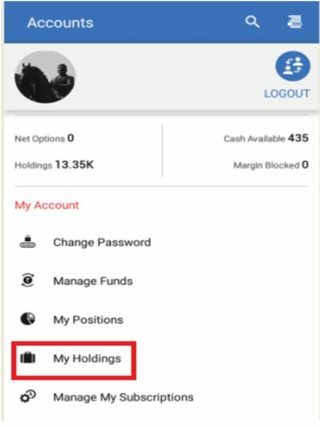 To check your holdings, after logging in the app, click on the Accounts Tab on the bottom right corner of StockNote screen. Next click on “My holdings” in Accounts details. 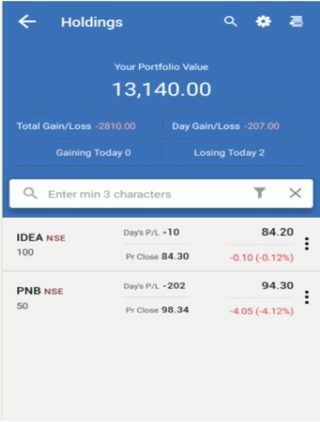 This will display a screen which will display Holdings as on the beginning of the day with portfolio value as per the Last traded price. You can check your profit and loss on the script as per the last traded price and your buying price. For this click on settings icon. 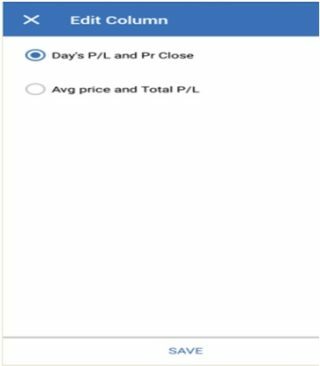 The default option would be Days P&L and Pr Close, this will display the Profit or loss according to the previous days closing price. Select the second option “Avg price & Total P&L” to check the historical profit and loss. Click on Save to check the P&L. You can also click on a security and sell the shares from the holdings itself. 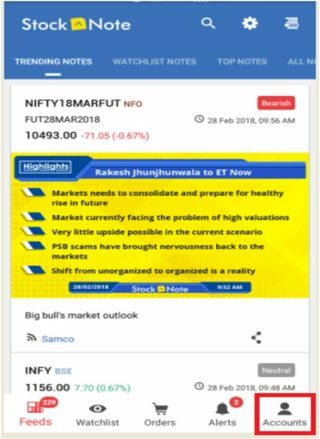 For more articles on StockNote app visit StockNote section on Knowledge Center You can also find many useful articles on trading, investing and market knowledge, visit our Knowledge Center section. You can also refer the tutorial video on holdings and positions.